A beautiful large disc pendant in our 'myMantra' collection, with a mandala image cast onto the front, the disc is left blank on the reverse for your engraving. 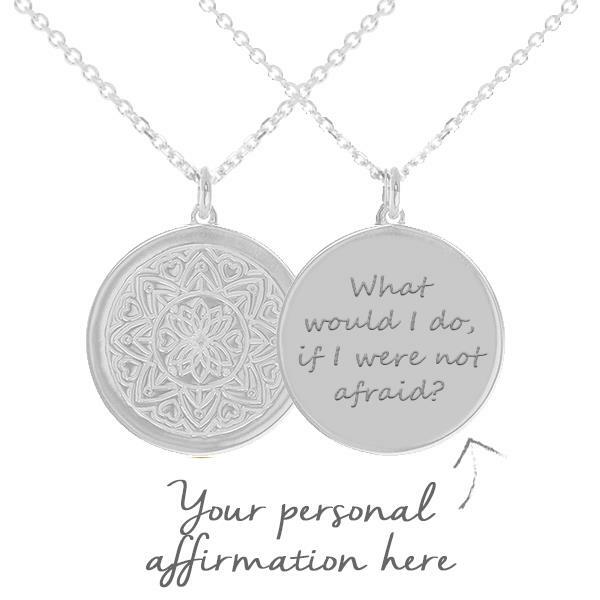 We have illustrated our latest ‘myMantra’ with a mandala, as it is a symbol of the wholeness of the universe. 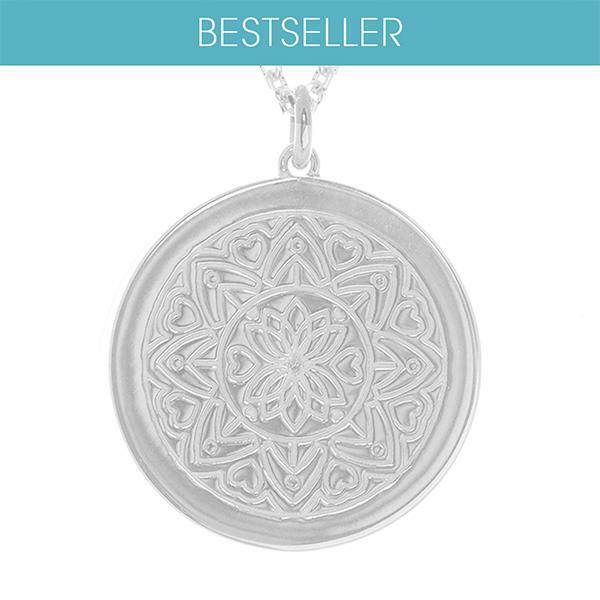 Symmetrical and circular, with orderly shapes and patterns, a mandala symbolises harmony and unity, and represents your connection to the universe. 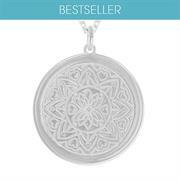 A mandala can be seen as a spiritual tool, or a beautiful piece of art. 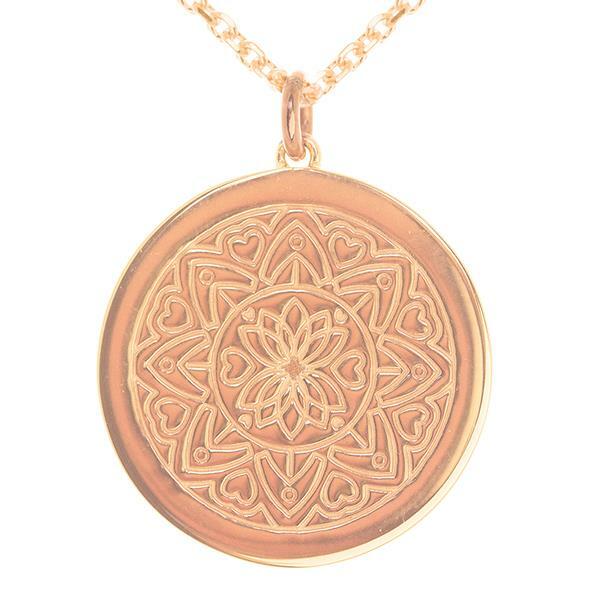 The mandala we have created for Mantra weaves hearts around a central lotus symbol, showing the love that connects us all. 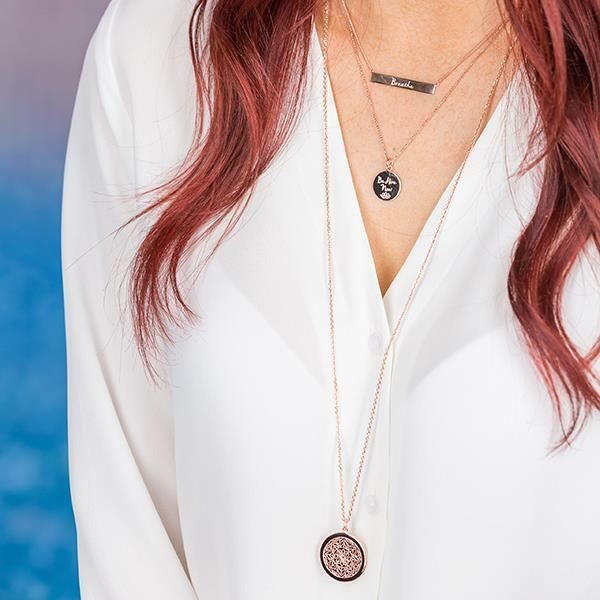 The ‘Love Mandala’ necklace is designed to bring comfort to the wearer, reminding you of the love that surrounds you, and your close connection with the universe. 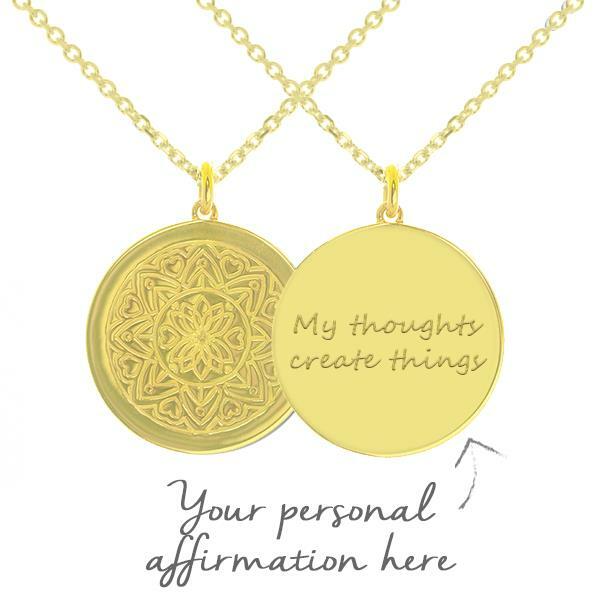 We recommend these on our 80cm chain, so you can catch sight of your inspiring phrase in the middle of a busy day or at a frustrating moment, to lift your mood and focus your attention on the present. 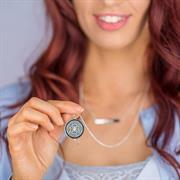 However, a shorter 45cm chain is also available. 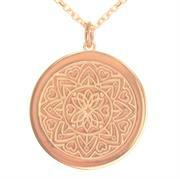 The chain matches the pendant metal - so the Rose or Yellow Gold versions of the disc come on a Rose or Yellow Gold chain. 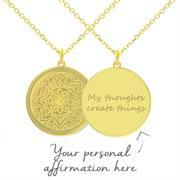 'myMantra' products are none exchangeable or returnable due to the engraving. 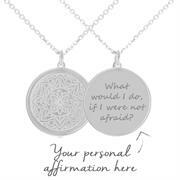 Please enter your mantra at the checkout, with exactly what you would like engraved on to your pendant. Please be sure to check your email address as we will email you to confirm your order.